« Free Cash Flow Part 1: Why it’s better than Net Profit! 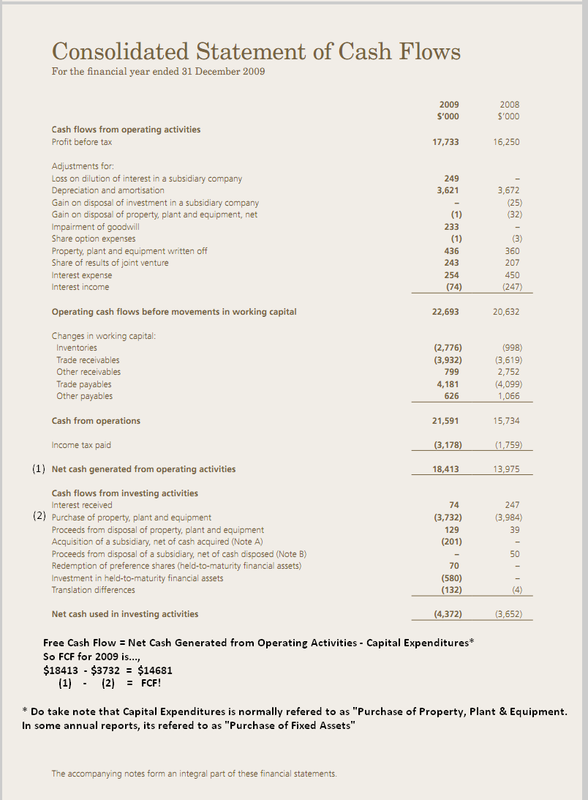 I have included a guide to calculating Free Cash Flow using the Cash Flow Statement from a locally listed company, ABR Holdings. Disclaimer: The author is not vested in ABR Holdings. Is that CF statement from TMC? It looks familiar. I see. U vested in ABR? Hi, nope I am not vested in ABR Holdings. It was the first Annual Report I analyzed so I thought I’ll include it for sentimental reasons.